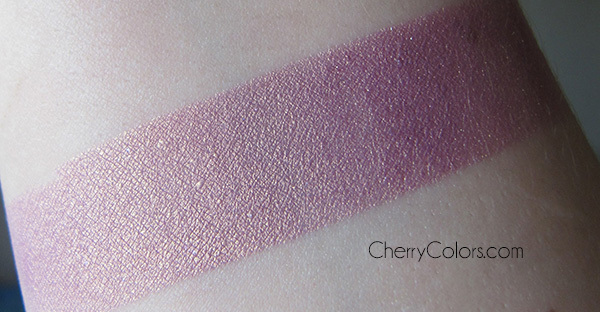 Swatch: Kiko 31 (Radiant Freesia) pigment - Cherry Colors - Cosmetics Heaven! 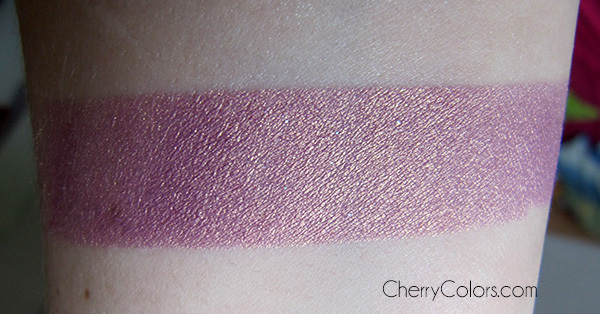 Here is another swatch of the second Kiko pigment. First of all, their photos are terrible. Yes, they do have swatch pictures on their webpage, but they are terrible. Nice quality, but nothing even remotely close to the true color of the pigment. This pigment is from the limited edition COLOURS IN THE WORLD. It is a lovely light pink duo-chrome that goes from pink to gold. Highly concentrated loose powder eyeshadow made from pure pigments. New colours exclusively developed for the "Colours in the world" collection. Ultra-fine and perfectly blendable, the texture of Pigment Loose Eyeshadow allows for an extreme, full, intensely brilliant and completely unique colour release. The powder has been developed with pure pigments and with the addition of highly sophisticated pearls to accentuate the radiance and extreme brilliance of the colour. Each shade can be used alone or mixed with other shades for a unique and personalized blend every time. Used in combination with the special Mixing Solution, Pigment Loose Eyeshadow improves its blendability, adherence to the eyelid and colour brilliance, increasing hold beyond all expectations. This however is one of my favorite pigments to-go. It is subtle, lovely, blends well with any other color, has a great color payoff. I could go on and on, but I think I set my point. I applied it over Fyrinnae Pixie epoxy and took photos next to the window (so natural light it is). The price is still about 5€ for roughly 6g of product.